@PippyPie, lol yeah you’re life is rough! 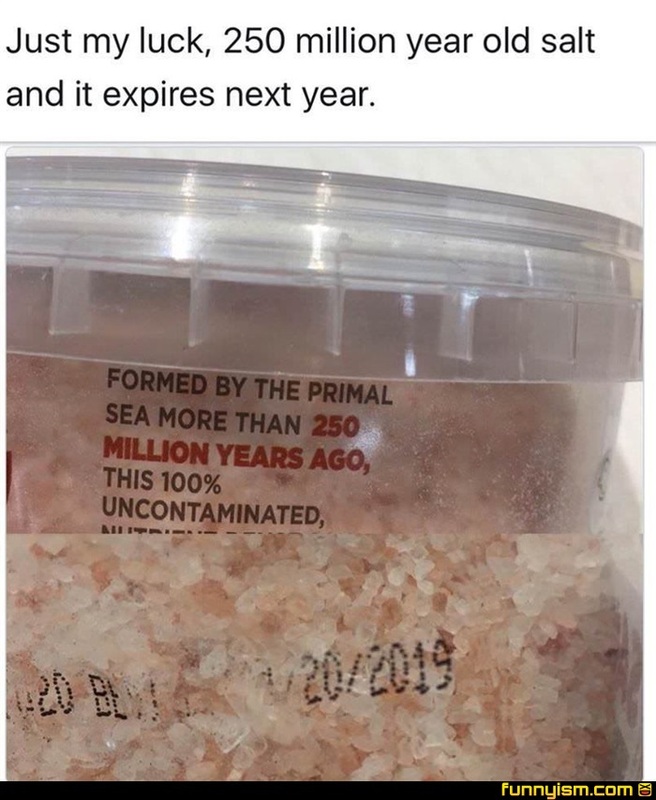 Does salt really expire tho? @RiffRaff, no, never. Pepper does, though. Pepper can go rotten, though it takes a long, long time. @Juggy, you are correct the plastic will expire before the product. When bottled water Reaches its expire date the bottle begins leaching chemicals into the water. I assume the same for this salt. @ Heracles, if I drink the expired water, will I become gay? Or do I need to be a frog for that? @Super GingerBoy, you get the big gay. Sell-By dates are not expiration dates. @bowlnmike, sell-by and best-by dates are also subtly different from each other.